Rock Springs Manhattan, KS. | MLS# 20190794 | Crossroads Real Estate & Auction, LLC. 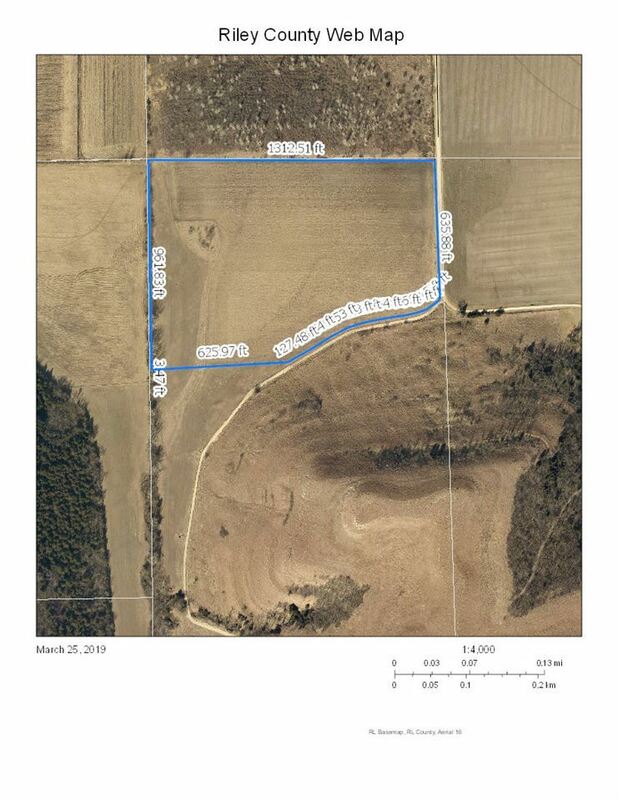 Nice versatile 25.4 acre parcel! 21 acres are currently being farmed organically. There is a well on the property that the neighbor uses and there is a filed "Water Well Agreement and Easement" in the title work. A copy is attached for your review. This is being surveyed off from a larger tract and is contiguous with MLS#20190796 that is the house and 58+/- acres. The farm ground is leased and possession of farm ground will be at harvest, unless bought prior to planting. All pictures are estimated boundary lines. Call Terri Hollenbeck for more information at 785-223-2947. Taxes shown are not accurate as they are not currently assessed separately.